My client for this cake was buying his wife a special cake for her 60th birthday. 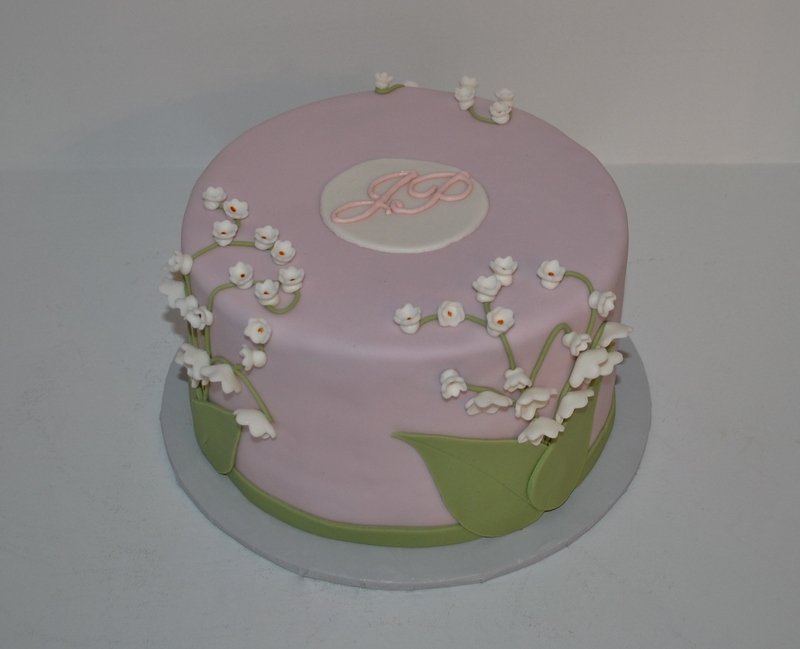 Her favorite flower is lily of the valley so he wanted a cake that represented this. I used a very soft pink background and made small lily of the valleys out of fondant to decorate the outside of the cake. I felt that any large name would detract from the cake, so I just used his wife’s initials on top.